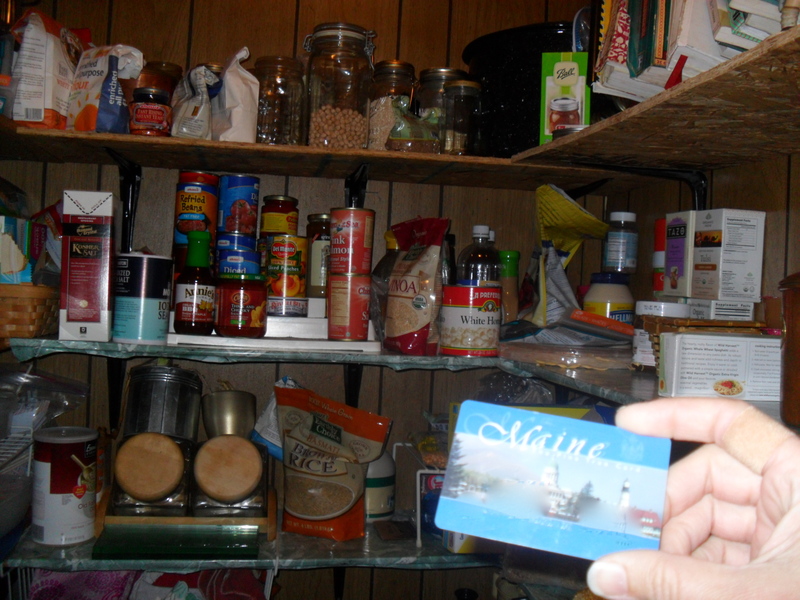 I’m new to using foodstamps. The topics about which I know nothing are seemingly endless when it comes to getting assistance from the government. In fact, I don’t know if I’ve ever felt so entirely clueless. What has surprised me in all of this, among many things, is how deep my shame is as I participate in the system. Instead of feeling proud that I am doing everything I need to for my children, I feel guilty and spoiled and greedy. Walking around the grocery store a couple weeks ago I felt like I’d taken off backpacks filled with wet sand. I literally felt lighter. I walked through the store slowly and considered every section. I compared prices. I took time to recall what I had in the pantry and the freezer. I thought about what I could make and freeze or what would be useful to have on hand to use later. At first I thought I was feeling so light because I tend to shop very, very quickly with two young children and their needs filling up most of my time. I looked into my cart at the fresh produce and canned tomatoes and a few bags of whole wheat flour, and I realized it wasn’t that I was child-free. It was knowing I was going to use my newly acquired “food stamps” benefits to purchase the great bulk of this food. What an enormous relief! I was giddy. I could buy food! I could just BUY FOOD. It didn’t have to be depressing or stressful. I could look beyond the two deep discount sale sections that I tend to stick to and I could just buy food. I felt free. How easily I slide into justifying and explaining and excusing my choices. For months I’ve toyed with writing about applying for and using assistance but I found myself lacking the courage. The moment I mention I’m using food stamps I feel an urgent need to explain my situation. Asking for help is humiliating for me. It’s so easy for me to find other people responsible and smart and brave when they ask for help. When it’s me, it’s harder for me to see it that way. Asking for assistance from the government, from “social services,” is a level of humiliating I have rarely ever felt. So much of the shame I feel comes from inside me. I’m stunned as I consider each individual person who is going through something similar to this; how each person has their own “issues” and their own sense of pride and self-sufficiency to tackle. That stereotype woman (domestic violence, little education, etc.) could very easily have just as much or more of an aversion to asking for help as I do. The shame doesn’t only come from inside me, though. There is a deathly blanket of shame that covers the whole process of “assistance.” The way I’ve been talked to as I try to negotiate the system has brought me to tears more than once. So many of the people (the workers who process the paperwork) are just flat out mean. I understand it’s a broken system. I knew that before I was in it. I just had no idea how far-reaching the fractures and breaks extend. When I take out my EBT card at the market, I’m so uncomfortable I’m usually compelled to make some sort of loud statement pointing out that I’m using food stamps. (As I mentioned, if I’m uncomfortable, I tend to address the discomfort very, very directly.) Intellectually, I know I shouldn’t feel ashamed. Emotionally, I haven’t found a way to shake the feeling that I’m being a lazy, spoiled, irresponsible moocher by using this tremendous gift. Writing about it here might help me, I suppose. Of one thing I am sure: the fact that I can go to the grocery store and just buy food makes wrestling with shame and humiliation a very small price to pay. This entry was posted in activism, assistance, mindful living, my life story, newly poor, politics and tagged food stamps, government assistance, mindful living, mindful parenting, personal growth, politics, priorities, values by serenebabe. Bookmark the permalink. I don’t see why you are less deserving than anyone else, though I can see the logic to paying for Ben & Jerry’s out of your “own” money and putting family staples only on the card. Too bad everyone doesn’t have your sense of ethics. Honestly I feel like I can’t afford Ben & Jerry’s now on my weekly grocery bill and would resent my tax money going to welfare peeps buying it. I’m thinking of applying for aid for my father. His finances are in such bad shape. I have no idea if you can get grocery aid while you’re already on SS and Medicare or how that works at all — what he really could use is someone completely taking over for him and keeping him on a strict budget, but that won’t be me because I can’t babysit him 24/7 and deal with that kind of stress/nagging. Plus he won’t listen/remember and I have no real authority. People might say he deserves nothing because he spent so stupidly, could have invested better, not frittered his savings away, etc., but he did and now what? Completely unrelated: did you change your font? I find your text hard on my old eyeballs. Seems light and wispy. I don’t know, I’m not so “above it” or anything. I got fixings for nachos the other day with the card, y’know? What I want to write about, eventually, when I find the right way to say it, is how just because I’m using gov’t benefits shouldn’t mean I have to throw my values in the garbage. I can buy locally grown fresh produce or I can buy short-term-less-expensive produce at BJs. Which is the right choice? It’s not easy. I think the long-term investment of healthier eating (healthier for us and for the larger society) matters, but since it’s not “really my money” (though I’ve paid taxes for 25 years) it feels too lavish to make the choices that feel right to me. That’s different, of course, than buying cheetos and Pepsi. But, still, why should receiving benefits suddenly take personal values and choices out of the equation?